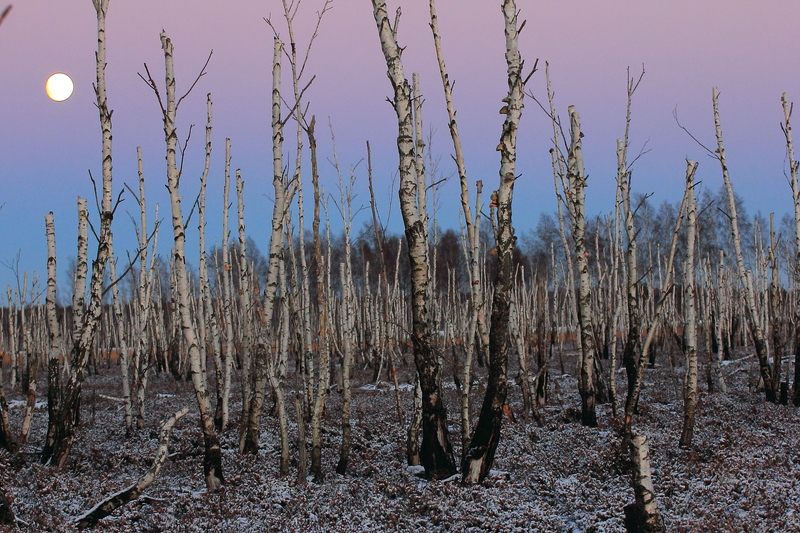 "Restoration of Aukstumala Raised Bog in Nemunas Delta Regional Park"
Project goal – To preserve and restore the Aukštumala Telmological Reserve. To maintain or achieve a favourable conservation status of the habitat of European importance *Active raised bogs (7110). To achieve the project goals, various measures are foreseen. Among them figure the blocking and damming of drainage ditches and melioration systems within the project area. This will result in higher ground water levels, facilitating sphagnum bogs and other typical plant communities to recover. The mineralization of peat layers will be slowed down and halted; thus the emission of greenhouse gases will be reduced. The ecosystems´ resistance against fire is improved. Approximately 100 ha of overgrown bog areas will be cleared, woodland plants removed. In this way open bog habitats will be recreated, which can be colonised by typical high moor plants and animals. The planned measures of the project will especially benefit the habitats of European importance *Natural dystrophic lakes (3160) and degraded bogs (7120) as well as protected species of birds (e.g. Grouse, Wood sandpiper). The project will be from 2013-2017. It is funded by the EU-LIFE+ program, the Republic of Lithuania and the project partners. • Renovate and improve the Aukštumala raised bog trail.